When Ladd, captain of the Winnipeg Jets, set out to raise money and awareness for two local causes through a recent charity event in Manitoba’s capital, he quickly learned a couple of things: it was a lot more work in putting it together than he expected and the number of people wiling to help was more than he could have ever imagined. Fortunately, for Ladd, the end result was a packed house, two happy charities in the Dream Factory, a Manitoba-based charity that grants wishes to children with life-threatening illnesses, and the Children’s Hospital Foundation. It turned out to be the proverbial perfect ending, one Ladd had anticipated, despite some trepidation in the days leading up to the game. The two-time Stanley Cup winner points to timely assists from several sources before and during the event, as the key in making it go smoothly. “Things take off so quickly and time isn’t always on your side,” said the fourth overall selection in the 2004 Entry Draft. “You tend to figure out early on that there are so many parts to something like this. You can’t really expect to do everything. He also knew he could count on the players for their support. Mark Stuart, Jonathan Toews, Shea Weber, Duncan Keith, Mike Richards, Brian Little, Olli Jokinen, Jim Slater, Zach Bogosian, Tanner Glass, Shane Hnidy, Ryan Reaves, Troy Brouwer, Colin Wilson, Gregory Campbell, Andrew Reimer, Chris Mason and Ryan Garbutt played in the game and along with Ladd, signed autographs before the drop of the puck. 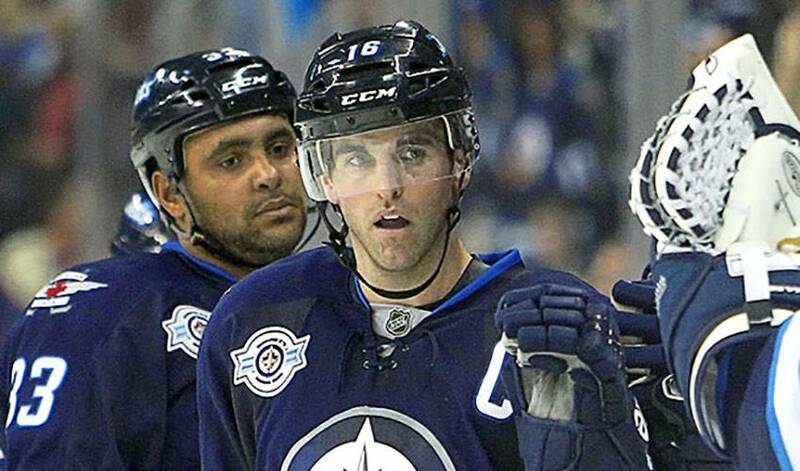 The biggest lesson learned in all of this for Ladd? Just like Andrew Ladd always has.